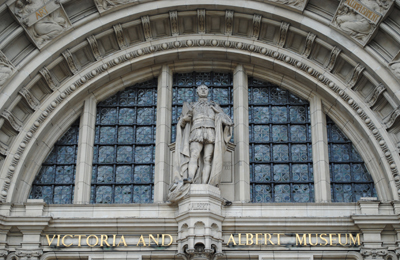 A new tale written by Peter Rabbit creator Beatrix Potter will be published last this year following its discovery in the Potter archives at the Victoria & Albert Museum (pictured above). The Tale of Kitty-In-Boots, which apparently tells the story of a black cat that leads a double life, was found two years ago by Penguin Random House Children’s publisher Jo Hanks. Its publication forms part of the celebrations surrounding the 150th anniversary of Ms Potter’s birth. The story, which Ms Hanks unearthed in three separate manuscripts in the archive, was sent to Ms Potter’s publisher in 1914 and Ms Hanks told the BBC that Ms Potter had “fully intended” to publish it but, thanks to interruptions including World War I, her marriage and illness, she never went back to it. Ms Hanks told the BBC that “the tale really is the best of Beatrix Potter”. Artist Quentin Blake has been asked to illustrate the new book. The V&A holds the world’s largest collection of Beatrix Potter’s drawings, literary manuscripts, correspondence, photographs and related materials. For more, see www.vam.ac.uk/content/articles/t/beatrix-potter-collections/.